Amazing 18x Optical Wide-Angle Zoom-NIKKOR Lens provides exceptional pictures. This lens is built on Nikon's proud heritage of producing precision camera optics that deliver superb colour and razor-sharp results. This amazing lens offers unbeatable compositional freedom with its wide-angle (27mm) to super-telephoto coverage (486mm). 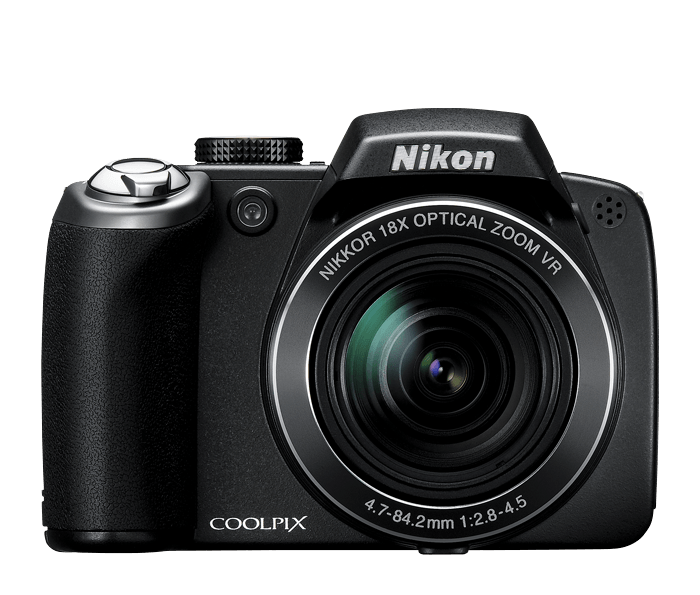 You can photograph sweeping landscapes and zoom in to capture the action on the baseball or soccer field! New EXPEED Image Processor ensures high-quality pictures with stunning colour and sharpness. Nikon's comprehensive digital imaging processing concept incorporates the know-how and the technologies acquired throughout our long history of photographic and digital imaging development. EXPEED is customer-tuned for COOLPIX and renders natual-looking pictures of incredible quality and quick response so you won't miss that special moment. Nikon Image Innovations include: In-Camera Red-Eye Fix, that automatically looks for and fixes most instances of red-eye; Face Priority AF, Nikon's face-finding technology that can quickly find and focus on up to 12 faces in a group portrait; and D-Lighting which rescues pictures that are too dark for printing by enhancing the underexposed areas of the picture while not touching the properly exposed areas.